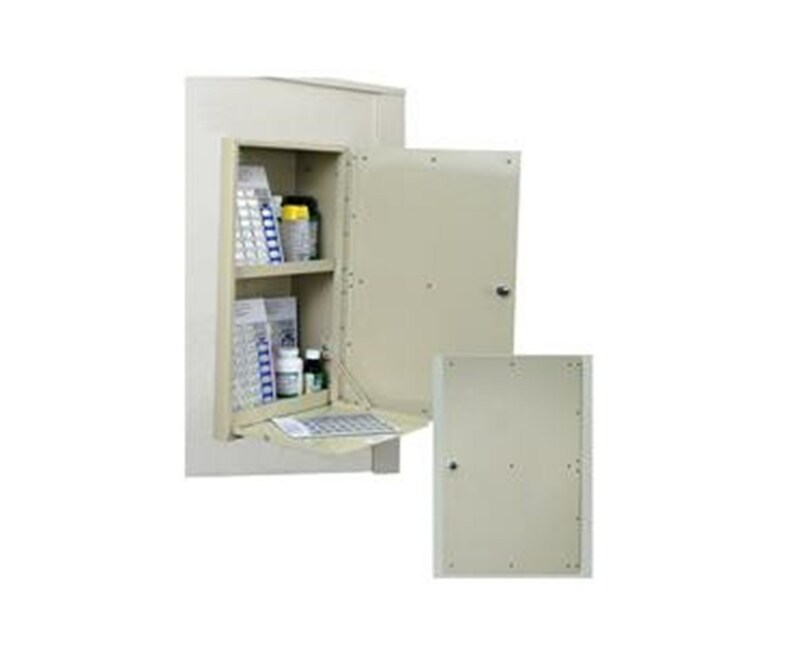 The Harloff In Wall 40 Punch Card Medication Cabinet is a wall-mounted storage device designed to hold up to 40 punch cards and supports 1 - 2 residents. 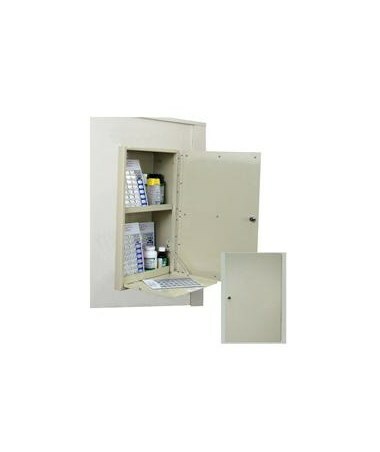 Designed to meet industry standards for both security and functionality, the In Wall 40 Punch Card Medication Cabinet is an optimal choice for hospitals or any medical facilities. Awesome Design. Constructed of steel, the In-Wall 40 Punch Card Medication Cabinet is well-built and will surely last a long time. It has a durable, hard-baked powder coated glossy beige painted finish. The cabinet has pre-drilled holes and includes mounting hardware for the cabinet to be installed between wooden studs with 16" centers. It has a slam lock system which secures the supplies and allows the user to open and close the door with one hand. To prevent tampering, stainless steel pinned door hinges protect the pins used in constructing the cabinet.